You might be new to this world of vaping or it may be you are thinking about trying to use vaporising cigarettes for the first time. You must have felt the curiosity to know more about it after you came across the term throat hit. Or it might be that you have been vaping for a long time and you are aware of the good thing about it. There are some processes by which you will be able to achieve extremely good throat hit. Anything that you have started for the first time needs a bit of tweaking to get it right. It is just like trial and error. It takes time and little effort. To have the best throat you first need to learn what is throat hit? This is generally a feeling and also a satisfaction that you get at the back of your throat and the lungs when you are inhaling nicotine. Although there are some people who feel that throat hit is not much of a priority yet for most of the people it is very important to get that. Someone who has been smoking for a long time and is a traditional smoker might need a stronger throat hit to feel satisfied. While on the other hand people who have never smoked or who have smoked very little might not require such strong throat hit. Again, if you have been a chain smoker then getting used to this kind of throat hit. Here are some tips by which you will be able to have the best experience that is possible. The first issue that you will face is the selection of the e juice Australia. 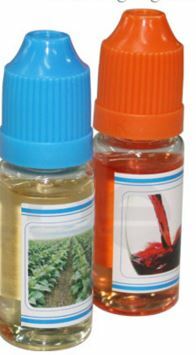 There are several combinations of the nicotine liquid that are available. Thus, you will not have problem finding out the exact thing that you like. There are people who tend to like the dessert and the fruity combination. On the other hand as a chain smoker you might be able to get the best experience from these flavours. You will need a tobacco juice taste for this. You have to make sure that there is enough juice inside the cartomizer. If the quantity of the liquid is less, then the smoke that will be produced will also be less. This will not give a very good throat hit. You have to take slow and long drag from the cigarette. You might be a traditional smoker who likes to take quick hit but for e-cigarettes the drags has to be long for the best experience. The amount of nicotine that is present inside is also very important. If you are not a heavy smoker then about 8 mg is enough but if you are then you have to take at least 24 mg. The highest limit is 36 mg.
You should take time to get it perfect. If you make it light then you feel like you have inhaled nothing and if you make it too string then it might be quite damaging.